What is your impression of styling in India? It seems to be more luxurious. The hair colour is more brunette with vivacious locks. In the west it is kind of grungier, not cooler, but a different attitude. I would say hairstyles here are very feminine with some curly, wavy and shiny textures. How long is too long, when it comes to hair length? If it is looked after well, long hair can look amazing and super high fashion. As long as it’s taken care of, and treated once a week with a deep conditioning mask, long hair can look really beautiful. 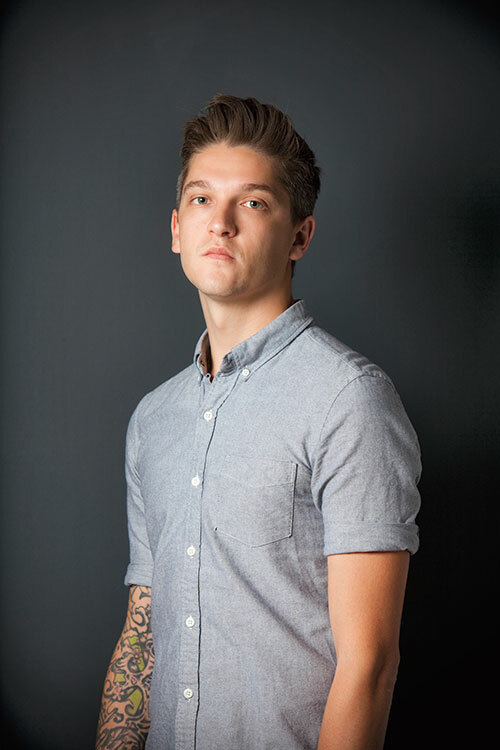 What would you say is the best style for long-haired men? A suitable style would be something that is not too scruffy, maybe a messy middle parting, with hair tucked behind the ears and no pony tail. Hair should not reach below the shoulder blades. I saw this guy at the airport who looked like a wrestler with beach-blonde long hair, skinny pants and cowboy boots, and for a moment I thought it was Axl Rose. It was very bizarre. One hair style that works well with all three of the Toni & Guy Hair Meet Wardrobe collections? I think braids can really work well, and these are easy to create if you have long or mid-length hair, with or without layers. With the right products, you can achieve a really versatile look with braiding. For example, for a tousled style, use the Casual Sea Salt Texturising Spray to create a frizz-free matte, beachy texture. Or use the Classic Shine Gloss Serum on damp hair, blow dry and braid to the side to get a more polished look. What are your hair must-dos? Try the three step routine – cleanse, nourish and style. Always prep the hair before you start styling it, using the Heat Protection Mist or the Smoothing Detangler, making sure your hair has a soft feel to it. Choose the Glamour Serum Drops for a glamourous look. 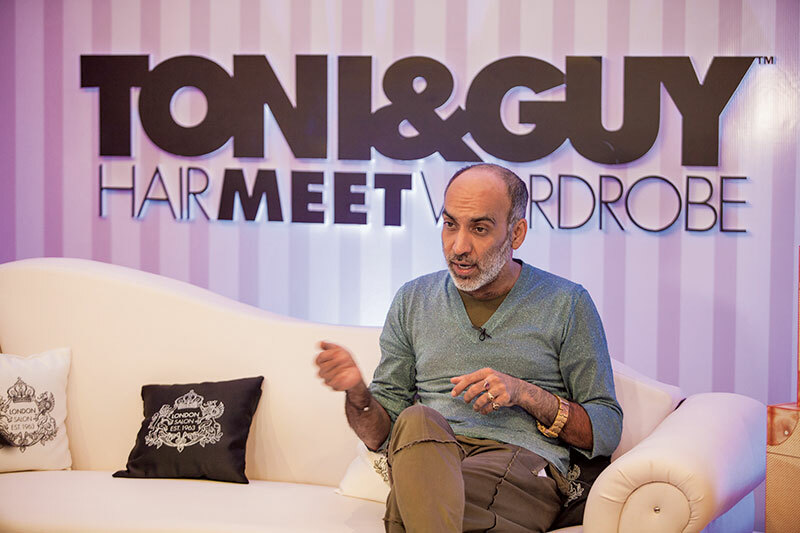 If official fashion stylist Manish Arora had tons of hair, how would you style it? I think if Manish had hair it would have to be really preppy. Quite short on the sides and back, and well-groomed. I can’t imagine him with scruffy hair, but something quite classic and chic. How has your wardrobe changed from when you ventured into hairstyling? I believe that hairstyling completely defines your wardrobe. I like to think that I have always dressed smartly, with a ‘modish’ vibe, but I’m definitely smarter now than I was when I started out in hairstyling! I’m always on the look out for amazing three piece suits.